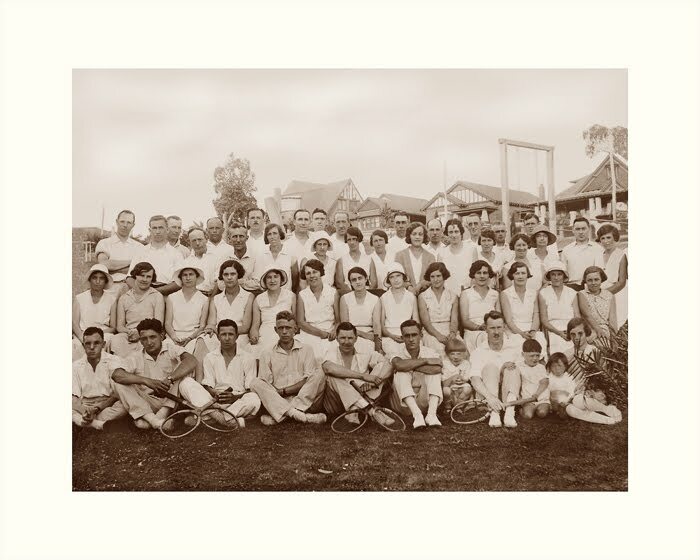 The South Hawthorn Tennis Club has a long and proud history. From it’s beginnings in the 1920’s there have been many people who have contributed to the club as players, administrators and social members. These pages will try to keep their memories alive and recognise the efforts they have made to make the club what it is today. Before the tennis courts were constructed Anderson Park was used as a paddock for council horses, so we have come a long way to the beautiful park we have today. 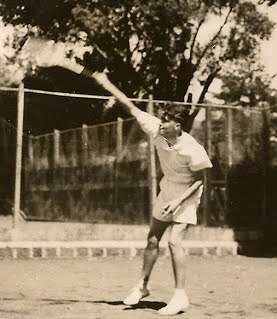 William Robert “Gordon” Longmuir was one of the founders of South Hawthorn Tennis Club. He was Secretary from 1928-33. 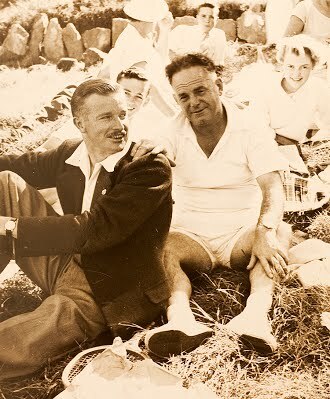 He was president from 1933-36 and 1940-48. Throughout his life Gordon was a contributor to the community and was never afraid to take on a leadership role. Gordon Longmuir was raised in Brunswick and attended University High. He met his wife Gladys at St Augustines in Brunswick where they were later married. He was a builder by profession and he and Gladys settled at # 7 Constance St just next to Anderson Park. Being a keen tennis player he must have looked longingly at the land in Anderson Park and seen the prospect of building a tennis club there. He and Gladys had 3 children, Robert “Bob”, Joyce and Ian. He had a building yard in Burwood Rd Hawthorn just across from the Town Hall, where Swinburne is now. Timber and building materials were stored in the yard and trucks used to drive in from the back, load up and drive out onto Burwood Rd and on to one of the more than 300 projects completed by W O Longmuir and son, in Hawthorn and the surrounding areas. Through his life Gordon was always willing to put his hand up when volunteers were called for. Apart from his roles with South Hawthorn, he was President of East Suburban Tennis Association, President of the Masters Builders association, Commissioner for the Board of Works and Councilor for Hawthorn. 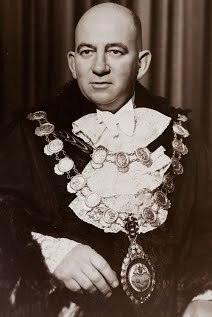 In 1946-47 he was Mayor of Hawthorn. “Cr. Longmuir, who was recently elected for the Auburn Ward to fill the vacancy caused through the death of Cr. J. A. Gray, M.L.A., bombarded the Hawthorn Council with a barrage of requests on his first appearance. Declaring that he might not be in the Council very long, (being due for re-election in August), Cr Longmuir said things had a nasty habit of being deferred. Amongst the requests he voiced, were improved train services for Gardiner and Tooronga, increased Police protection for South Hawthorn and the clearing of unmade rights of way. The various matters were referred to suitable committees for consideration. Clearly Gordon Longmuir didn’t pull any punches. Meanwhile Gladys Longmuir didn’t just stand by idly watching her husbands activities. In January 1947, as Lady Mayoress, she chaired a meeting of 200 women at Hawthorn Town Hall at which, “speakers commended an article by Mrs Gladys A Hain, published yesterday in The Argus, in which Mrs Hain deplored the apathy of women voters and called on them to take a greater interest in public affairs.” The meeting was called as a protest against striking gasworkers and against the Government for “its inaction and apparent indifference to the plight of the community.” It also urged a reduction of taxation as a means of overcoming industrial troubles. Times were very different then, before the war the club was not allowed to use the courts on Sundays and for many years after the war, play was only allowed in the afternoon. The club applied to Council in 1939 to allow tennis to be played on Sundays, but was refused. During the war Gordon was a Lieutenant Colonel in the Army and was stationed in Brisbane, where the family lived for 18 months. After a long illness Gordon Longmuir died in 1956 at the age of 54. In memory of his contribution to the South Hawthorn Tennis Club the courts were named the “Longmuir Courts”. Gordon’s son Bob Longmuir, took over the building business and was also a keen tennis player as well as a committee member of the club. He was Secretary in 1952. Gordon’s daughter Joyce Longmuir attended Auburn South Primary and remembers during the war there were trenches and shelters on the oval behind the classrooms. Local children had to go to the Town Hall to be instructed on how to use gas masks. Joyce went to Brisbane with the family before returning and finishing her schooling at MLC. Along with Elsie Williams, Joyce was the first Junior member of South Hawthorn Tennis Cub. Joyce married Ross Teele and both were members and keen players for South Hawthorn. 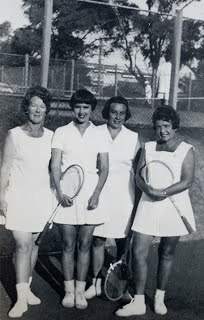 A typical weekend for the Teele’s might involve Joyce traveling by tram with her three team mates ( Jill Hamilton, Val Birch and Norma Richards ) to play State Pennant tennis at clubs such as Brunswick. They then returned to South Hawthorn for social play in the afternoon. Perhaps on the Saturday night the club might hold a dinner and Square Dance for the members, the wooden floors in the clubhouse were ideal for dancing. On Sundays the morning was spent at church, before Joyce and Ross were back at South Hawthorn for tennis in the afternoon. Gordon’s Grandson and Bob’s son, Graeme Longmuir was President of South Hawthorn Tennis Club from 2006-10 and Graeme’s wife Julia served on the committee for several years in the mid 2000’s. Gordon Longmuir was made a Life Member in 1949. The Robertson family lived at 21 Widford st for many years and had many connections with the tennis club across the road. Emily Irene ( Rene ) and James King Robertson were founding members of the club in 1928. Their house looked out over paddocks with cows and horses grazing and a city in the background without a single tall building. James was a quantity surveyor by profession and he and Rene had three daughters, Joan ( 1929-2002 ) was the eldest followed by Pat and then Suzanne ( 1935- 2005 ). They all would play tennis at South Hawthorn. Rene was involved with St John’s church in Camberwell and the three girls used to walk there every Sunday to attend Sunday School. They also took part in fellowships and youth group activities such as picnics, hikes and a monthly dance. 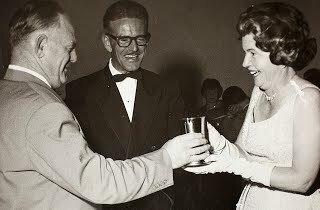 It was at one of these dances that Sue Robertson met her future husband Col Walden ( President 1968-1971 ) who also had a major involvement at South Hawthorn. The girls all started playing tennis around the age of 9. They used to play at Mr Bickham’s courts off Burke rd. where the freeway is now. He had 12 asphalt courts for hire and kids used to go down for a hit on Saturday mornings and he would supervise and offer some advice although he was not a coach. Pat also had lessons with Mr Wilson in Park Rd Glen Iris, before there was a permanent coach at South Hawthorn. The girls had an happy and active life, attending Auburn South Primary School and having annual summer holidays at Mornington. 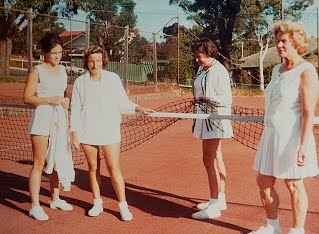 They were all talented sportswomen with Joan playing hockey, tennis, golf and lawn bowls, while Sue played tennis and golf. 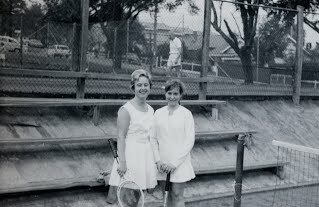 Sue was later involved with the Mount Waverley tennis Club and was made a Life Member there. Pat went from Auburn South to Camberwell Central before finishing her schooling at MLC. After her Matriculation she went back to MLC to do a 3 year craft teaching course, learning to teach bookbinding, leather work and other crafts. Pat was keen to travel overseas so she attended night school to learn typing and shorthand. In 1956 Pat traveled by ship to London and was lucky enough to land a trial job with publisher Longmanns Green. A 4 month trial led to an 18 month job and allowed Pat to have some wonderful experiences in the UK and on the continent. She shared a bedsit with a friend in Earls Court, which was where many Australians would congregate. They used to frequent the “Downunder Club” and Pat remembers seeing a young Aussie called Rolf Harris start his singing career from there. 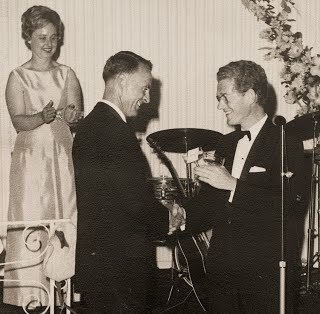 Pat’s father had a friend Sir William Leggat, who had many contacts in London and he was very kind to Pat, arranging tickets to Wimbledon and even an invitation to a Garden Party at Buckingham Palace. She and a friend from South Africa were very excited to get dressed up and have the opportunity to see the Queen. When she had time off work she would join friends and catch the ferry to the continent whether it be France, Holland or Scandinavia and hitchhike off on an adventure. They stayed at Youth Hostels and explored Switzerland, Austria and many other countries. They even bought an old Austin car for one trip and had much fun driving around. Pat was club champion in 1962-63-64-65, 67-68 and 69. Her run of wins was only broken by a great rival Julie Abrahart in 1966, Pat was clearly the dominant player at our club for a decade. Another Life Member, Kerry Wundersitz can remember, as a Junior, playing Pat and struggling with her speed at the net. She moved so quickly and so late, you were never sure if she would cross or not. She was a very aggressive volleyer. Not just a great competitor, Pat was a great contributor to the club. She was club Secretary from 1959-1969 and again in 1970. She was Club Treasurer from 1971-73 and again in 1975. She was made a Life Member in 1979. In 1979 Pat went on a cruise in the South Pacific and met Ross Hunt, a cabinet maker from Adelaide. They married and she moved to South Australia where she still lives, though Ross passed away in 2004. Her sister Joan was already living in Adelaide and they chose a Tennis and Bowls club half way between their homes and joined together. 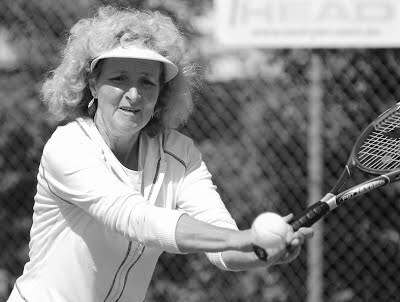 Pat continued to play tennis until injuries forced her to move to bowls and golf where she found companionship and exercise. She still passes the tennis courts occasionally and wishes she was able to play. Pat is an happy positive and generous person whose secret to life is her faith in God, her love of family, her love and involvement with sport, 20 years of Yoga, her voluntary work with Meals on Wheels and the Royal Adelaide Hospital and of course her involvement with South Hawthorn Tennis Club. Robert Leslie MacCleery (known as Leslie), was one of the first Presidents of the club from 1928-1933. He was a bank clerk when he joined the AIF at the age of 27 and served in World War 1. He served with the 28th Battalion in B Company. He took an English bride, before returning to Australia and settling in Melbourne. For many years the club held a Mixed Doubles Championship called the R.L.MacCleery Cup. The event was an handicap event, with handicaps determined by the club selection committee. George Ray Senior, was a Father figure at South hawthorn for many years. He was Secretary from 1954-59, Treasurer from 1952-54. He was a member for 50 years and was awarded life membership in 1962. George was an engineer by profession and was able to put his hand to just about anything. He built a business making drafting equipment, which was needed for the war, working out of a building on the north east corner of Burke rd and Toorak rds. He and wife Elsie raised their family of Marilyn, Valma and George Jnr while growing the business and building their house at 48 Clifton rd. George had been a carpenter, so sub contracted the work, while building the kitchen and frame work. George Jnr remembers the great South Melbourne footballer Bob Pratt working on their house as a brickie. Pratt of course was famous as one of the greatest full forwards to play Aussie Rules and George remembers kicking the footy with him one day and Pratt booting the ball over their house. As the children grew, Snr became interested in tennis. 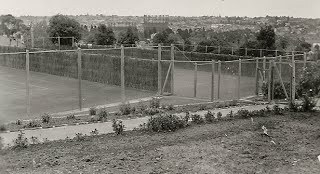 Elsie had played tennis as a junior and both George Snr and Jnr soon took to the game. George Snr built a brick wall in their garden, so they could have a hitting wall and they also began their involvement with South Hawthorn. The whole family went away together to country tennis tournaments including, Castlemaine, Bendigo, Myrtleford, Romsey and as far as Perth. In the late 40’s George snr built one of Australias first caravans. He made up a flat bed trailer, then put posts at each corner, with canvas hung between the posts and a canvas awning as a roof. George Snr, Elsie, Marilyn and Valma would sleep in the van while George Jnr would sleep across the back seat of the car. Of course in those days there were no caravan parks, so the Rays had to find somewhere to park the van. They sometimes parked at the footy ground or even at the local cemetary! In the early 50’s George snr built another van, this time a more sturdy all metal construction. George snr was the leader of many South Hawthorn expeditions to country tournaments. He would put a note on the board and get a group of members, sometimes up to 20 people to travel in convoy to the tournament. The South Hawthorn team would all play and take great enjoyment cheering each other on and pairing up for doubles contests. George snr was a strong man and a great leader. He went to council with Keith Young on one occasion to organise a loan for the club. When told it was unlikely that it would be granted, he thumped his fist on the table and said “I won’t be leaving here till you give us this loan”. It was given. I don’t think that method of negotiation still works today! The loan was for inside toilets and showers, as at the time the only toilets were in the park behind the club house. 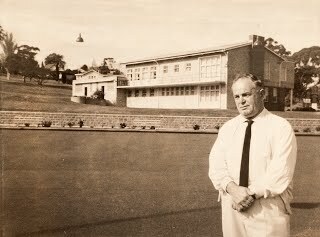 Many tennis club members in those days played bowls at South Hawthorn Bowling Club. George senior eventually “went to bowls” and became involved in the committee there. George jnr remembers playing table tennis for the club in the 50’s. Basil Wakely was the Captain of their 4 player team. We still have a table tennis pennant from 1955 on display at the club. The club had a team for some years that played in a suburban league. There were clubs in Albert Park and Coburg specifically for table tennis, while our team would set up the table in the middle of the club house for matches. The standard was very high in pennant, though many enjoyed a social hit as they still do today. George jnr, well into his seventies, still plays competitive table tennis today, at a club in Coffs Harbour, where he now lives. He also remembers Neil Roberts who won the club championship in 1952. He was a very stylish player, beautiful to watch. George Jnr remembers his father taking him into the city for tennis lessons. Tennis coach Leo Guiney had taken the lease on an office in a 3 story building in Flinders Lane. This gave him the rights to the rooftop, where he built an En-Tous-cas court and gave lessons. He had painted a target on the wall of the office downstairs and when it rained he would have the pupils hit against the wall. Ask anyone who played at South Hawthorn in the 50’s and 60’s about Neil Maher and their response is instant, “Oh Neil is the best player to ever represent South Hawthorn”. Ask Neil Maher what sort of player he was and he is modest about his ability. ” I had a relatively weak backhand, ordinary serve and smash, but I was a competitor and quick around the court”. Neil grew up in Yarraville, but while on holiday at Healesville he met South Hawthorn members Beryl Archbold and Norma Richards. That meeting led to Neil’s greatest partnership when he married Beryl. They moved to Burwood and Neil joined South Hawthorn in 1954. Neil made an immediate impression as a quality player at the club. He won the Championship in his first year. He remembers many of the Men’s singles finals he competed in. One year he took on Keith “Tiger” Young in the final. “Keith was a good player and a fierce competitor”. Neil’s strength however, was his focus and determination and he was able to win the match. In another year he took on Ray O’Connor. Ray was favoured to win, as he played B grade pennant for East Malvern, while Neil had played C Special for a PMG team. Neil ran everything down and managed to wear Ray out. It was a special victory for Neil. The club had a mixed championship each year, named the MacCleery Cup after R.L.MacCleery (president 1928-33). Teams were given a handicap determined by the selection committee. Neil won the event a couple of times with Beryl and with Lola Young. In some matches his handicap meant he and his partner started each game at 0-40. Neil recalls playing with Marion Smylie ( Women’s champion in 1957 ), a very good left hand player. He also played against Billie White “a gracious lady” but not as fierce a competitor as Lola Young. Billie was Barry Humphrie’s Aunt. 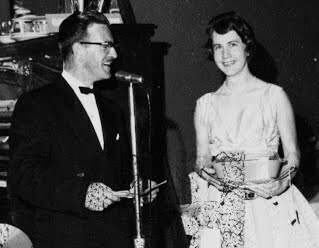 Meanwhile, Beryl won the Women’s club championship in 1961 and played in a pennant winning team in B grade ( the highest level achieved by any team from South Hawthorn ). 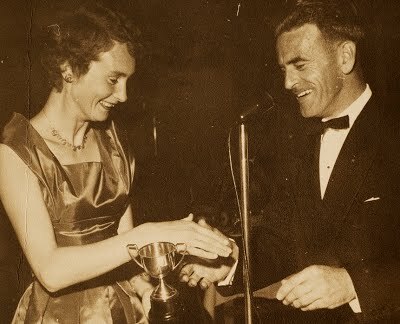 Her achievement in winning in B grade, when Neil’s highest achievements were in C Special grade, is sometimes mentioned in the Maher household. At the time South Hawthorn entered teams in the Eastern Suburban Tennis Association. The ESTA entered teams in the Metropolitan Week, playing against other regions. Neil was selected in the ESTA team one year and played with Audrey O’Toole, wife of the great axe man Jack O’Toole. They played the finals on centre court at Kooyong, with linesmen and umpires. Their victory helped secure a win for ESTA. Neil remembers watching the Davis Cup on the same court at Kooyong and greats like Jack Kramer, Dinny Pails and John Bromwich. Despite all these achievements, Neil & Beryl’s fondest memories of South Hawthorn are of the friendships they made at the club. 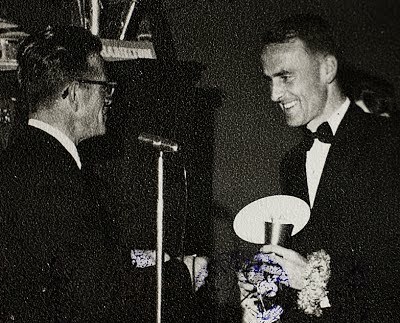 From their early days there, Neil appreciated the influence of older members like Bill Cathie. Bill was one of the leaders around the club and if you ever had an idea or suggestion, you would always run it by him. Ernie Johns was another mentor and was always keen to help out other members. The tennis highlight for the Mahers each year, were the Easter country tournaments. Neil and Beryl played in various towns with many friends from South Hawthorn. They travelled to Benalla with George Ray and played with Keith and Lola Young, Ron and Ruth Rosman, Neil and Julie McDonald and sisters Pat and Sue Robertson (Sue later married Col Waldon). They would meet at South Hawthorn and travel together to the venue where they stayed in on site caravans. They played at Yarrawonga with the Curnicks, Rosman’s and the McDonalds. Early rounds were played on the football oval, with the finals being played at the tennis club. Neil and Ron Rosman took on Collingwood footballer Thorold Merrett one year and enjoyed playing him. He was a good sport and they had a good win against he and his partner. At a tournament at Bacchus Marsh, Neil teamed up with Lafe Broadhead (secretary 1951-52) and took on former tennis Australia President Brian Tobin. Lafe worked at the Tivoli in the city, a live Vaudeville theatre. Lafe was a very popular guy around the club and would often provide free tickets to shows at the Tiv. Neil remembers one of the Marx brothers performing there and comedians, singers, dancers and other international performers. Neil served on the committee, selection committee and was President from 1958-59. He remembers discussion at committee about allowing members to wear coloured tennis clothing. He was keen for the club to move forward and allow a more modern approach, but it took a while for more conservative committee members to agree. He also remembers coming to an agreement with the RSL club which ran the bowling club to allow members to use each others facilities. He was club Champion in 1954,55,56,57,58,60,63,67,68 and 1969. 10 times in all. In 1994 the club struck a perpetual trophy in Neil’s name. In a letter to Neil, the committee explained that “In naming this trophy we chose to recognise the performances of arguably the Club’s greatest Men’s singles champion. We also acknowledge the contribution to club administration as President, Committee Member and selector over a period of years. Hence the trophy will be known as the ‘Neil Maher Men’s Singles Championship Trophy’ “. In 2010 the club welcomed Neil and Beryl back to South Hawthorn, to present the trophies for the Men’s Singles and Doubles. Keith & Lola Young joined South Hawthorn in 1955. Keith had been a keen footballer for many years, playing for Tooronga at an oval next to Tooronga Station, now a Freeway!! In those days you couldn’t just walk into a club & become a member, you had to go on trial for a period of time. Keith was a strong player, but when he and Lola applied for membership, the club asked Lola to come down each Sunday to the social day to try out for membership. 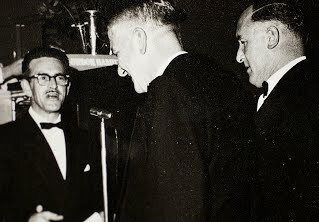 Ernie Johns ( President 1952-55 ) watched the prospective members to make sure they were of a standard acceptable for membership and after a months trial, Lola and Keith were accepted as members. At that time, the doubles championships were seeded, with the strongest players at the club partnering the newest members. This meant Lola was partnered in her first year at the club by Norma Richards and they duly won the event. Between them Keith and Lola served the tennis club for 17 years, before building a house at Lorne and spending their weekends there. Lola continued to play at South hawthorn and played on Thursdays for 50 years. I guess you would call that a permanent booking. 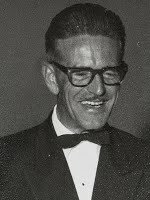 Keith was an engineer for Shell and Amaco, but still managed to perform the role of President from 1959-62, 1965-67 and 1971-74 and was committee member for many years, looking after the club and club house. In those days there was no caretaker at the club, so all court maintenance, gardening and other duties were performed by members, mostly at working bees. Courts were refurbished when needed, with all the work being done by members. This meant the resurfacing of the courts and re-laying of the lines. There were no plastic lines in those days, they were made of lead and came in reels and were held in place with 4″ nails. Imagine banging them into the ground. Meanwhile the club had a very active social life, with an Annual Ball being held, with dancing, entertainment and presentation of trophies. Event winners were given an allowance to purchase something they wanted as a prize ( hence Lola holding the mini bbq in the photo ). Lola managed the organisation of 17 club balls. The club used many venues, including the Glenferrie Ballroom on the corner of Glenferrie and Wattletree rds. One year the club had the event at Blackburn and not being a driver, Lola went by public transport to Blackburn to deliver the deposit cheque and organise place settings and decorations for the big night. Sisters, Sue Waldon and Pat Robertson were a big help in organising the balls. Sue and Pat lived across the road from the club and looked after the club keys and balls. After Lola retired from her club duties she passed on much of the social organisation to her daughter Rosslyn Green. The club was also known for its card nights ( no tv back then kids !! ) sometimes attracting 20 tables of players for “Crazy Whist” nights. In those days the club only had 4 courts and often competition teams had only 1 court for the day. This meant that sometimes matches went till late afternoon or evening. Afternoon tea was always served, with generally Ladies bringing the food and the Gentlemen paying the ball money. Often teams would finish on a Saturday evening and re-convene at the Young’s house (just down the road) for further discussion of the days proceedings. This left little time for anything else, with tennis club activities on Saturday and Sunday all day ( Lola played Wednesday and Thursdays as well ). Meanwhile the children of members had a wonderful time, entertaining themselves in Anderson Park with the older children looking out for the younger ones. It’s not surprising that Keith and Lola have many friends from South hawthorn and still have dinner every month with a group from the club including, John Shaw, Don Curnick, Lynne Curnick, Ken Curnick, Pat Shaw, Col Walden and Bev Goodall. Keith was made a Life Member of the club in 1984 and still plays tennis twice a week at Bulleen Tennis Club at the age of 87. The club struck a trophy in 2010 for the Men’s Doubles Championship. It bears the name the “Keith Young Trophy”. Lola Young passed away on 11th April 2014. Nance Trigellis-Smith played on Wednesday & Thursday afternoons at South Hawthorn for 50 years. Nance grew up in East St Kilda and began playing tennis with her cousin and uncle while on holidays at Sorrento. Membership at Sorrento was a princely 5 shillings at the time, so she joined up and played every day of her holidays. Back in Melbourne she played with St Stephen’s in Caufield and also played netball, which she played and umpired for many years. Nance went to school at St Margaret’s in the old Stonnington Estate. She finished her honours year at school, then did a Dip-Ed at Melbourne University. During the war St Margaret’s was used by the army, so the school moved to Mayfield Avenue before going out to Berwick. Nance remembers University vacations during WWII. With so many away Uni students were expected to work. She worked picking fruit on a farm just out of Shepparton. The highlight of her week was on a Saturday when they picked fruit from 6-9am then rode bikes into town, where they went to the shops, swam in the river and then got dressed up for a dance, before riding home at midnight. She also remembers volunteering at Scots church in the city serving tea and mince on toast to servicemen on leave including many American soldiers. 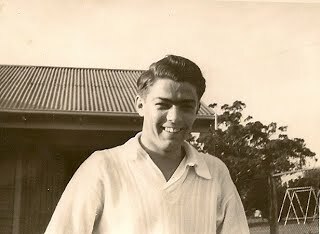 Nance married Syd Trigellis-Smith in 1948 and they had three children, Allan, Ewen and Angela. They moved to a house Leura Grove in 1956, where she still lives today. When they first lived in Leura Grove, their milk and bread were delivered each morning by horse and cart. Syd’s parents, John (Jack) Augustus Smith and Beryl Sampson had met in New Guinea. Beryl had been a nurse in WWI and then joined the Expeditionary Force, which fought in New Guinea (a German territory), where she met Jack who was with the Australian Navy. When they married, Beryl didn’t want to be a plain “Smith” so the Trigellis-Smith name began, no-one is sure how they came up with the Trigellis part. They lived in New Guinea for many years, coming back to Australia to have Syd before returning and managing a plantation. Some years later they returned to Australia, though Jack returned to New Guinea later. 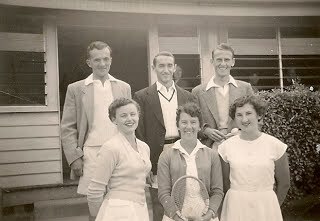 When Syd and Nance moved to Leura Grove and with the children all at Auburn South, Nance was able to join a social tennis group at South Hawthorn in 1956. 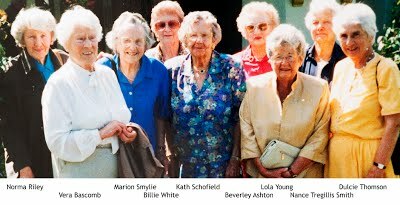 The group included some older members, such as Lill Joyce, Win Collins, Verna Moorcroft, Kath Schofield, Frances McCallum, Beverley Ashton, Marie McLoghlin and Madge Seville. Other players who had played weekend competition also joined the group. Marion Smylie and Vera Bascomb were very good players who played on Wednesdays. Nance remembers Vera Bascomb as a very intelligent woman and a good tennis player. Many of Nance’s contemporaries, had grown up in the depression and with finances tight had to leave school early. Careers for Women were not the norm at the time. Nance considers herself lucky to have been able to attend University and have her own career, when many of her friends were not able to. In 1963 Melbourne Girls Grammar School offered Nance a part time job and though Syd was not entirely sure about her working, Nance took the offer. In those days teachers at some private schools finished early one day a week, allowing Nance to rush back to South Hawthorn and continue her part in the Wednesday social group. The social tennis was not too serious, although there was not much talking on the courts. A modest afternoon tea followed the tennis, with the girls bringing something from the fridge, such as a piece of cake or two, or some sandwiches. Some of the women had children at Auburn South Primary and after school the kids would walk up to the club and happily occupy themselves in the play ground until the Mums finished their game. Early on, other girls joined the group, such as Lola Young, Norma Riley and Billie White. Billie was a very proud Aunt of Barry Humphries and the group was kept well informed of his achievements and adventures. She was also a very crafty player with a very tricky sliced backhand drop shot. She was always immaculately presented and a gracious woman. Nance remembers Marie McLoghlin as a wonderful person taken way too young. Nance remembers Keith and Lola Young, “running” the club for many years. Keith as President and Lola as Social organiser were involved in everything to do with the club. In her later years Lola never ceases to amaze Nance with her ability to master new technology like computers and video recorders etc. She also remembers Eric McLoghlin working very hard for the club and getting a lot done as President. In later years the group merged with the Thursday social group to keep numbers up. The new group included men ( a refreshing change ) with Don and Ken Curnick, Don Mann and Barry McLoghlin, as well as Brian and Fran Burzacott. Later others such as Dulcie Thomson, and Michael and Nina Macgeorge played with the group. The group no longer plays tennis but still gets together several times a year and remembers their years of tennis and friendship at South Hawthorn Tennis Club. Barry McLoghlin joined the club in the mid 1950’s. He worked and played for the club for more than 50 years. Barry was in the Merchant Marine, before starting a career with ABC radio. He worked as a technician for morning presenter Peter Evans for many years, bringing him an element of fame around Melbourne. Barry soon became involved on the club committee and served the club for many years. He might have been one of the best players at the club, (along with Ken Curnick) to have not won the singles championship. Barry met his wife Marie on a tennis court and they devoted many years of their lives to tennis and South Hawthorn tennis Club. Barry and Marie never drove and never owned a car. His team members took him to away games and he managed to get by without a problem. He was awarded life membership in 1991. Barry passed away in 2006. Marie McLoghlin worked behind the scenes at South Hawthorn, as Barry’s better half, even though for many years she was not a member! Despite her husband’s involvement, some suspect Marie was nervous about facing the club selection committee! 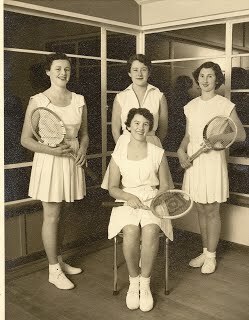 In those days, in order to keep the standard of tennis high, prospective member’s tennis had to be of a “certain standard” before they were accepted into the weekend competition and social membership. As things turned out, the club one year was short of Ladies to play in the mixed club championships. Marie was asked to play, but she agreed only if she was allowed to become a full member. The club showed great judgement in agreeing to her terms! As it turned out, she was more than capable on the court. Marie was one of those rare people who could talk to anyone and was loved by all. She fought a long battle with illness before passing away at the age of 61. 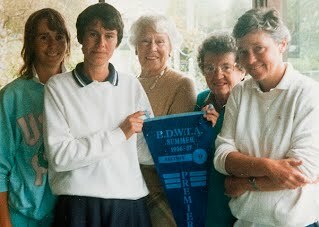 Soon after, the committee decided to name the trophy for the Women’s singles championship the “Marie McLoghlin trophy”. Eric McLoghlin grew up in a house filled with a love for tennis and South Hawthorn Tennis Club. He joined the club at the age of 8 and joined the committee at the age of 17! Eric served as President from 1977-79, 1981-83, 1985-93, 1999-2000. He was singles Champion in 1997 and 1998. He was runner up on three occasions including losses to the club professional Dean Ashton. The best player Eric has seen at South Hawthorn is Neil Maher, a ten time winner of the Singles Championship. Eric was awarded Life Membership in 1996. His committee incorporated the club, including re-writing the club constitution. Along with Kerry Taylor ( Wundersitz ), Myrtle Taylor, Graeme Rodder and Russel Smartt he organised the re-building of all four courts over a five year period, then arranged a loan to install lighting to all four courts. The lights were new technology at the time and they are still serving the club well today. It was a difficult decision to go with the new technology but they tested them on a half built private court in Toorak before going ahead. With the ability to play tennis at night, the club grew both on and off the court and a liquor licence was gained for after tennis activities. The bar might have led them astray at times. The committee made a plan to re-paint the interior of the club house over 4 Thursday evenings. Eric, Barry McLoghlin, Peter Garrety and Russel Smartt all committed to the project. Week one, went well with painting commencing at 7pm and finishing at 10pm before convening at the bar for discussion of progress. Week two started at 7pm and finished slightly earlier at 8.30 for discussion at the bar. Week three started promptly at 7pm but finished slightly earlier at 8pm. Happily week four saw the project and its discussion completed. Eric served the club for some years as judge of whether prospective members were good enough players to be granted full membership. It was a task he never relished, but at the time it was the way things were done. Applicants were invited to play for three Sundays, then on the fourth Sunday the committee would meet and decide if the player was good enough to be included in weekend play. At the time the club constitution didn’t allow juniors to play on Sundays as it was felt they would not have the ability to play with the adults. However with the quality of some juniors the constitution was altered to allow some juniors, such as Eric and Kerry Taylor/Wundersitz, to play on Sundays. At the same time, the Hawthorn tennis Club was even stricter on standards. With their council lease up for renewal, they were challenged by a group called the “Rainbow Tennis Club” who wanted to take over the lease and remove the restrictions on weekend players. The council was sympathetic to their concerns and eventually the Hawthorn Tennis Club had to remove the restrictions and open weekends to players of all standards, in order to retain their lease. With the South Hawthorn lease up the following year, our committee saw the writing on the wall and removed our restrictions as well. As it turned out, the club benefited by the change and saw an influx of members at a time when club membership was dropping ( see sometimes council does know best ). On and off the committee, friendships and partnerships were formed. Many members went on trips to country tournaments with Denilaquin being a favourite venue over Easter. Groups of 20 or more drove up and made camp for the weekend. Matches were played for the day, before South Hawthorn members reconvened at the camp ground for refreshments and discussion of the day’s proceedings. Bonfires were lit and RSL’s visited before short sleeps refreshed players for the next days activities. Among the participants were responsible elders like Keith and Lola Young and wild oat sewers, David Wundersitz, Kerry Wundersitz, Gwynn and Mark Johnson, Di and Peter Garrety, Wendy Cooke and Noel Emmett. Don Mann 21/2/29 – 16/6/06. Don was a member for more than fifty years serving as President from 1967-68, Treasurer from 1954-55, 1956-57 and Social Secretary along the way. The club was very socially active in the past and large dinner dances and other events were organised. Don loved those occasions and only missed them when he was overseas- he was a prolific traveller. tennis and enjoyed going to country tournaments with fellow members. Don left a legacy to the club, which has been used to fund a trophy for the junior boys player of the season. Also a watercolour painting of the club was commissioned and now hangs above the fireplace. Russel Smartt left Melbourne at the age of 16 for the Wimmera to be a jockey. When he came back to Melbourne in 1970, he joined South Hawthorn where his good friends Keith and Lola Young were members. Russel soon became involved at committee level and was President from 1983-85. On Sundays 30 players or more would play social tennis. Players would go on court for one set then be off for two sets. For a period of time, tennis was Russel’s life and he and other members spent countless hours looking after the club and courts. in 1984, she served as secretary from 1970-77 and 1982. Kerry served on the executive, selection and social committees for over 25 years. She held the positions of President 1993-97, Secretary 1978-80. 1997-2002, 2004-08 and Treasurer,1981-83. She was Junior Convener for five years. She was awarded life membership in 1999. She received an Australian Government Sports Award for services to tennis. Cynthia was co-coach at South Hawthorn from 1996-2010. 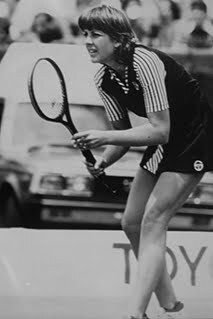 She played in what she describes as the “Golden Era” of Australian tennis, the 1970’s. She was on the international circuit for 9 years, competing in all the Grand Slam events. Cynthia’s highest ranking was #15 in the world and #6 in Australia. She played against Billie-Jean King, Evonne Goolagong, Chris Evert and Martina Navratilova. She beat Martina in the semi finals of a tournament in Southern California. In mixed matches she played against John McEnroe, Bjorn Borge and Vitas Gerulaitis. In John McEnroe’s autobiography he mentions a match in his first Grand Slam event, the French Open of 1977. Mary Carillo and McEnroe were cruising through the mixed doubles, “Our roughest match was a three setter in the semis against Tomas Koch of Brazil and Cynthia Doerner of Australia”. Cynthia played an exhibition match in Central Park New York for underpriviged kids with Borge and Gerulaitis who were really good friends. After her tournament career, Cynthia coached in the USA for 8 years, the last 2 as Head Coach of the Women’s Tennis Program at Fresno State University. She returned to Australia and was made coach at South Hawthorn along with Sue Davey in 1996. Cynthia’s two sons both played college tennis in the USA. Scott Doerner played for Pepperdine University in Malibu from 2003-06. Pepperdine won the NCAA Championship in his Senior year. He was made All American in 2005-06 and was ranked as high as #2 in doubles and #14 in singles. He played in the main draw of the Australian Open. Austin Doener was awarded a scholarship to De Paul University in Chicago and played #1 on the team in his Junior and Senior years. Both Scott and Austin coach at Pepperdine and as they became more settled in the USA, Cynthia decided to move to California in 2011. In her years at South Hawthorn Cynthia was involved in the club as a coach and Comittee member and was made Coach of the Year by Tennis Victoria. 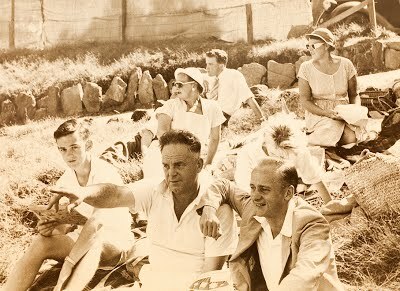 George Ray Jnr, ?, Elsie Ray, George Ray Snr, Pat Robertson, ?, ?, ?, Basil Wakely In Bendigo. Bonnie Miller and Julie McDonald with Zelma Ruddick and Lola Young, after the Womens doubles final. Keith Young presents the Singles Champion trophy to Neil Maher. Vicky Hammond, Sarah Walters,Vera Bascomb, Lola Young,? Keith Young presents a trophy ( nice casserole dish! ) to Barbara Symes. 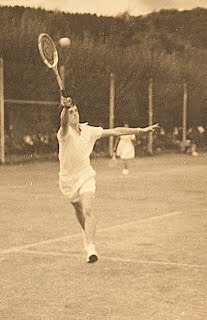 Barbara won the Ladies Singles in 1958,59,60. 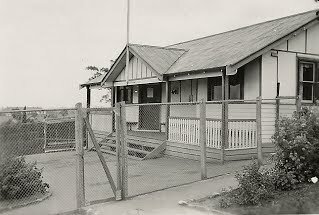 View from club house mid 1940’s. Note the gasometers near the corner of Toorak and Torronga rds. Norma Richards, Joyce Longmuir, Val Birch. C Grade Metropolitan Pennant winners. Norma Richards, Jill Hamilton (back), Joyce Longmuir (front) and Val Birch. The club had an annual picnic at the beach, usually Mornington. 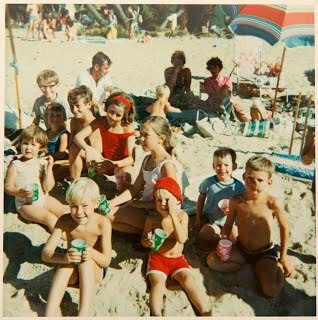 In the photo, Beryl Maher and Lola Young take a crop of South Hawthorn juniors to the beach in 1971including the Rosmans, Mahers and??? Dave Youl used to take his boat for water skiing. He took very good care of the boat, but one year someone knocked the ladder into the water. Bruce Taylor came to the rescue and threw the anchor overboard so the ladder could be retrieved. The trouble was the anchor wasn’t tied off, so that had to be retrieved as well. Don Mann presents trophy to Neil Maher in 1968, Pat Robertson watches on. George Ray Jnr Myrtleford Easter 1953.